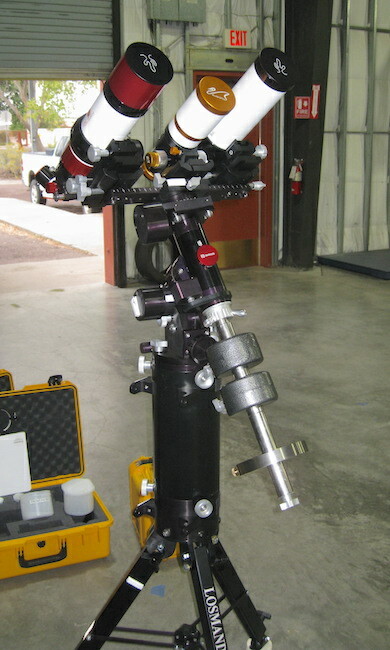 I've been mounting two telescopes together for quite some time. 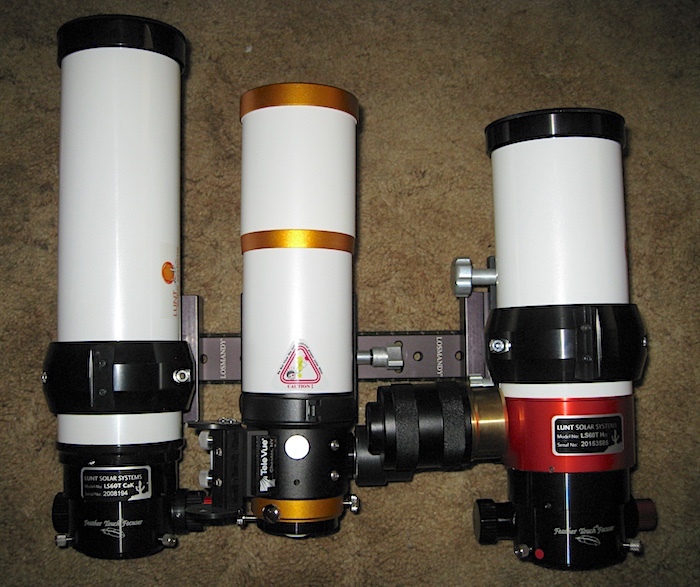 Usually my Lunt 60mm Hα scope, and my Sky-Watcher Esprit 80. Once I got the Lunt Calcium-K scope it became the two Lunt's together. 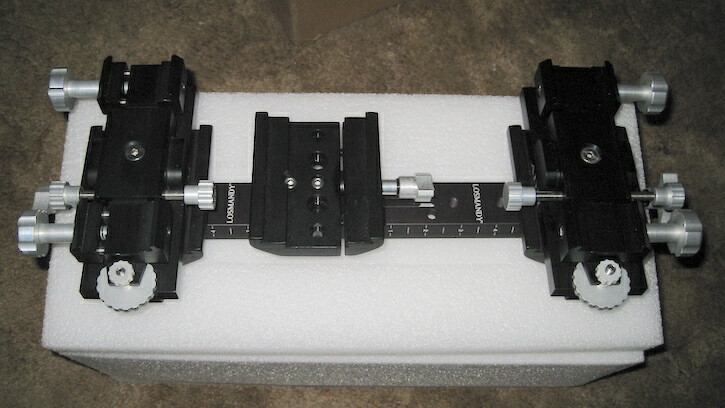 To get back to providing a white light component I bought a William Optics Zenithstar 61. Now all I had to do was get them all mounted at the same time without breaking anything. My first foray into dual mounting taught me that you can't survive without being able to independently aim the two scopes. It took a bit of frustration before I clicked the "Buy" button on an ADM Mini-Max Alt/Az Aiming Device -- they are kinda pricey -- but I made up for the cost of it by ceasing to pull my hair out. That kept me happy for about a year and a half until I managed to collect enough telescopes this summer. 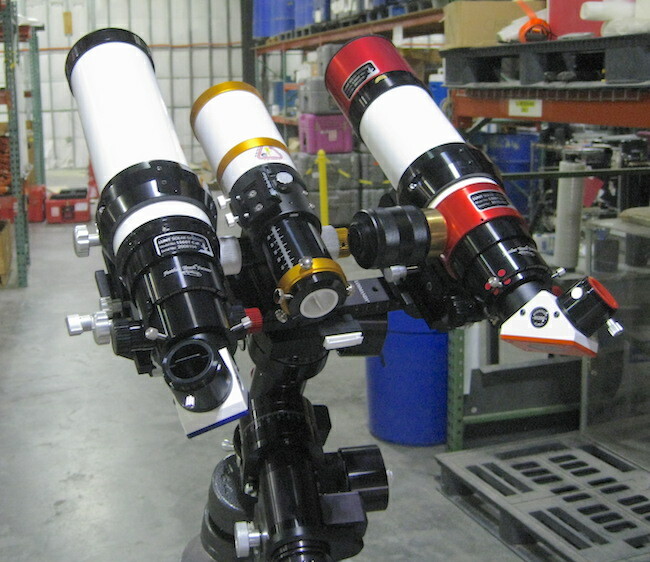 With three telescopes it was going to take buying another adapter. Once I decided to put this together I bought two Losmandy 4" GM-8 saddles that are a little lighter than the other 4" GM-8 saddles that are on the ends of the bar in the picture above. The ones in the picture are the same kind that came with my mount. I think these squarish ones are actually 4" G-11 saddles, but I like the extra metal for the one on my mount. It's not quite straightforward to put a saddle in the middle of a Vixen bar. The locking knob won't turn. 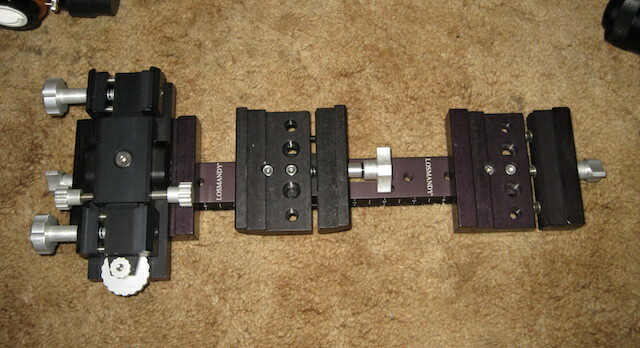 Fixed that by adding an ADM 3" dovetail bar between the middle saddle and the main bar. It was just the right height. On Friday of last week my ship, and my second ADM adapter came in. That setup has more knobs than anything else I own. It's 8.4lbs. I dragged enough parts up to work from storage to see what would happen if I overloaded my GM-8. Nothing happened. I didn't have all of the parts on the scopes, like cameras and eyepieces, but it all looked like it was going to balance and behave just fine. The three scopes and the side-by-side-by-side is pushing the weight limit a bit. Getting the declination balanced was a little tricky, but with a some fiddling it all settled down. That is two 7lb. weights and a Stellar Masses 5.5lb. 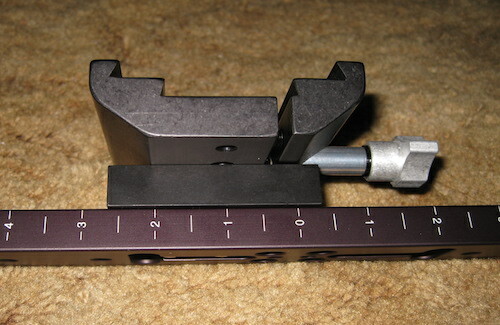 weight that I originally got when using the Lunt Hα scope by itself. 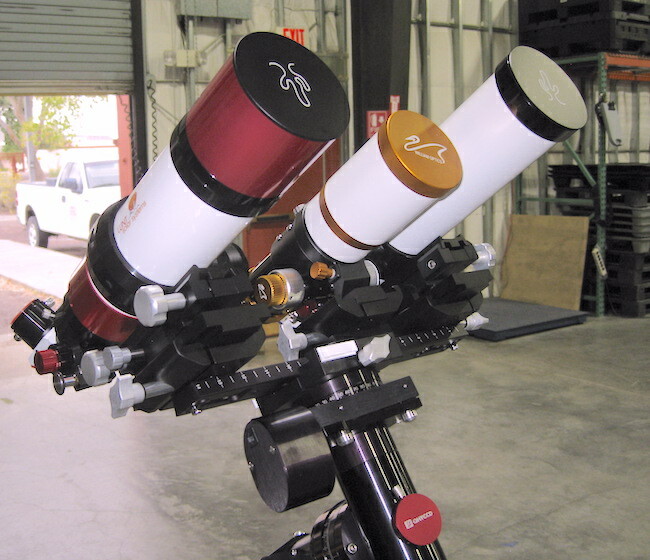 Of course the proceedure here will be to get the Z61 aligned on the Sun, then use the ADM adapters to bring the other two scopes into alignment. When using two scopes it's easy to do, so this should be twice as easy, right? The 14" Losmandy Vixen bar was just wide enough to allow everyone's parts to miss each other. I learned way back when putting the Hα scope on the right and keeping the pressure tuning piston near the declination axis, instead of putting it on the left and having it hang out over the end of the main bar made it easier to balance things. There is enough room to burp it and everything. That's about where the focus tube on the Z61 will be when in actual use, so there shouldn't be any bumping the pressure tuner with your head after the diagonal and eyepiece are added. First light should be fun. Yup. Must be new telescope parts in town. 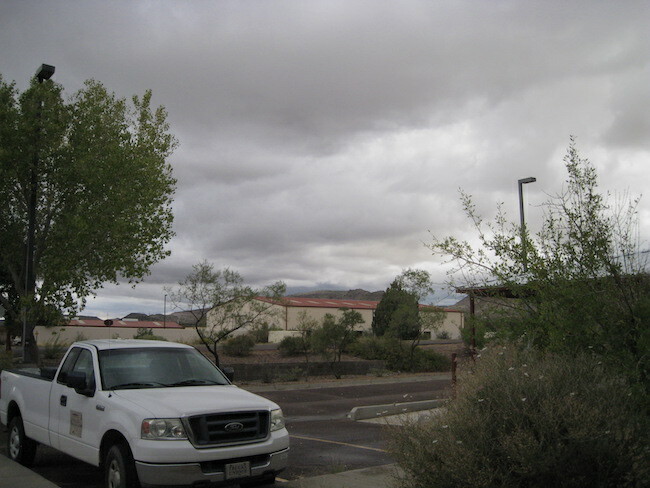 It's going to be like this for a few days.